Melvin Lyons was born in St. Louis. At a young age, he fell in love wth entertaining people. Early on, he discovered those God given gifts that he didn't really know he had, but, by watching music videos and imitating the latest dance moves, he soon learned there was something special about him. He also received his young dance apprenticeship from his older brother, Larry "QZ" Rodgers, formerly a dancer with M.C. Hammer, who inspired him to be an entertainer and helped to show him the ropes. 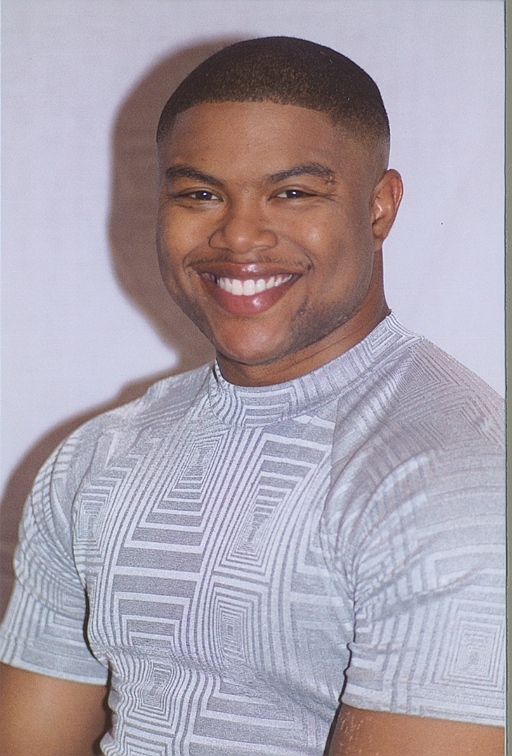 As Melvin's talents grew, he bagan to do local talent shows with the Hip Hop dance group called "14 Karat Gold Lovers", who was a well known dance group in St Louis at the time, which helped him improve his skills even more. Whenever his brother would be touring with M.C. Hammer around the St. Louis area, Melvin's group would often perform at the concerts as Hammer's special guest performers. Hammer saw that Melvin danced just like him, with his style, and energy. He was in awe. After Melvin moved to Northern California with his brother, Hammer again saw Melvin at their rehearsal studio, Hammer quicly asked Melvin to rehearse with the other dancers, because he wanted him to be in the "2 Legit 2 Quit" video. Thereafter he was also dancing in another of Hammer's video's called "Rollin' On". Then, it came time for Melvin to go back home, but he didn't want to go back to St. Louis, so his family allowed him to stay with Hammer and his wife and kids in their home. He then was able to do the "2 Legit 2 Quit" tour during that summer. Melvin was then adopted as their God son, was given the name "Spankee", and it has stuck with him ever since. Later he then moved to Los Angeles with his brother, Larry, who introduced him to acting, and shortly thereafter, got Melvin an agent. He has been in numerous TV roles, and at 15 was co-starring on a hit television sitcom that he recollects as being one of the most enjoyable roles, playing the character of happy go lucky "Bobby Wilson" on "Saved by the bell, The New Class". Melvin has also developed his passion for music. He was able to work with Adina Howard on the "Sunset Park" movie sound track flossin' his rap skills. Spankee, or more reverently known by the our cast as Bro. Mel, is a multitalented young man who at just 23 years old, is filled with the Holy Spirit by the power of Jesus Christ. With the support of his lovely wife, and children, Melvin "Spankee" Lyons continues to pursue his acting and rapping career, along with preaching the powerful Gospel of Jesus Christ. He will be opening his own church, "Universal Youth Church of God", in the near future. For now, he is one of the minister's on the roster at his home church, City of Refuge (formerly Greater Bethany Community Church)", pastored by Bishop Noel Jones, his shepherd, spiritual father and mentor. Bro. Mel is truly a man of God. He thirsts for the lost souls, and continually extends a gentle hand to those who is searching for the Lord. Spankee, is a witness wherever he goes and loves speaking of the goodness of God, and His gift of salvation to those with an open ear. What makes Bro. Mel so special, is that he is real, with no pretences. His strength in the Lord, and his ability to deliver a not-so-nice character on stage, is quite special and intense. If his character get's booed, well, Bro. Mel is doing his job. It takes one who has that strength in order to 'make it real'.